A Helena Youth Against Gun Violence meeting, Dec. 5, 2018. A bill that a group of Montana high school students wrote to try to reduce gun violence in the state was killed in a Senate committee Thursday. It was written by Helena Youth Against Gun Violence, which formed in response to the Parkland, Florida school shooting in which 17 people were killed in February of 2018. Helena High School Senior Amanda Penley, who helped start the group, says they wrote a bill that they didn’t think would be controversial, even in a state with strong Second Amendment opinions. "We knew that we would be fools if we entered the Montana Legislature trying to restrict what types of firearms people can own, when they can buy them, how many they can buy. We knew that wasn’t an option. We didn’t want to bring forth legislation that had no chance," she says. Amanda Penley speaks during a meeting of Helena Youth Against Gun Violence, Dec. 5, 2018. Penley helped form the group in March 2018. So Penley’s group wrote a bill based on a Texas law that makes it a crime for adults to leave firearms accessible to children, if doing so results in serious injury or death. It also required the state school superintendent, "to develop and maintain model school district policies for firearms safety education." The bill passed the House, but not before an amendment stripped the provision about safe gun storage out of it. Penley says they decided to continue lobbying for their bill even though only the education component remained. "I learned a whole heck of a lot about compromise. It would have been very easy for us to, after out bill had been amended, to cross our arms and say, 'you know what, we’re done. We needed this to pass in its entirety'. But the truth of the matter was, we still wanted that component to pass." Penley was troubled that the NRA flew-in a lobbyist to testify against the Helena Youth bill, even as the bill advocated using NRA gun safety curriculum to teach kids proper gun protocol. She says she thinks the bill died due to many Montanans’ unwillingness to consider gun legislation of any kind. But she doesn’t think the students' effort was a failure. "Oh, no. No, no, no, no, no. By no means did we fail. The waves we made with this bill is simply remarkable. And by bringing this bill forward we’ve created a much wider, maybe less confrontational discussion about gun safety and all that we’re doing to protect our kids. We’re not defeated, obviously we're disappointed." Penley says Helena Youth Against Gun Violence plans to remain active, and will now focus their efforts on broadening access to gun safety education in local schools. Helena high school students who organized to do something in the wake of the Parkland, Florida school shooting 13 months ago presented a bill to Montana’s House Judiciary Committee at the capitol Tuesday. "We’re not expert lobbyists, nor are we supporting any particular agenda or organization. 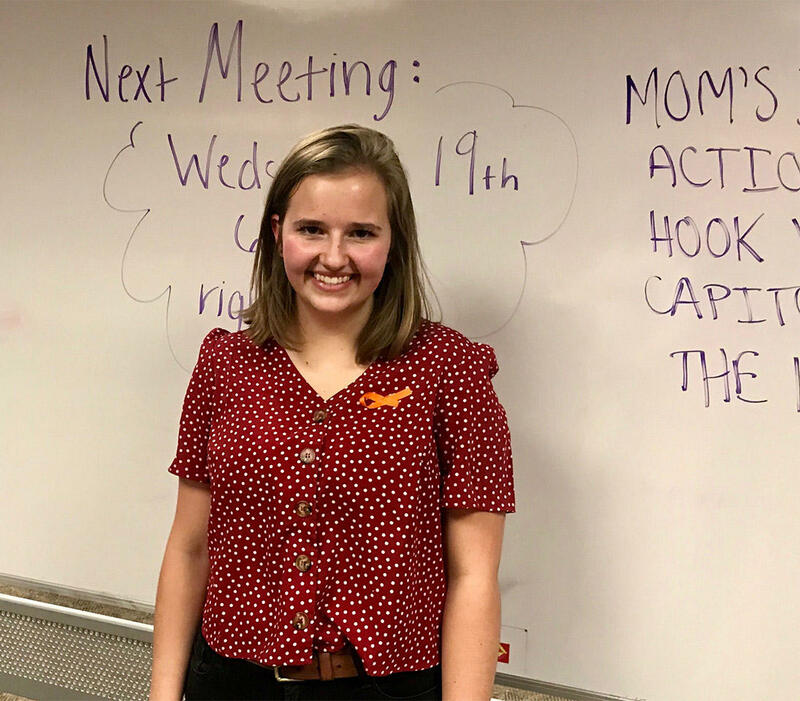 We’re just students who saw an issue in our community and decided something needed to be done," says Clara McRae, a senior at Capital High School and co-founder of Helena Youth Against Gun Violence. A week after 17 people were shot to death at Marjory Stoneman Douglas High School in Parkland, Florida, students in Helena formed a group to talk about gun violence. It’s now a year later and The Helena Youth Against Gun Violence have introduced a bill into the 2019 legislative session they say will help prevent gun deaths in Montana. Remember back in March, when high school students in several towns across Montana staged marches against gun violence? The marches began a month after 17 students and staffers were shot to death at Marjory Stoneman Douglas High School in Parkland, Florida. One of those groups, Helena Youth Against Gun Violence, has remained active. They hosted a U.S. House candidates forum last spring, and on Tuesday night held what they called their re-launch meeting.